Matching email receipts sent to receipts@expensify.com were received with different time-stamps. 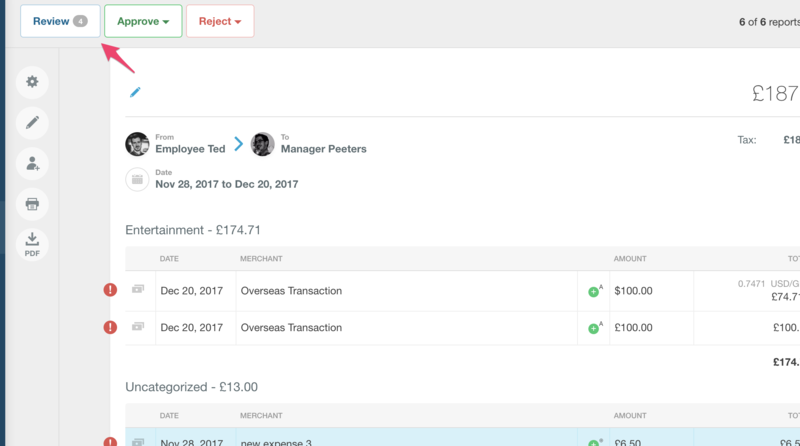 Users will have the ability to resolve these duplicates by either deleting the duplicated transactions, merging them, or ignoring them (if they are legitimately separate expenses of the same date and amount). 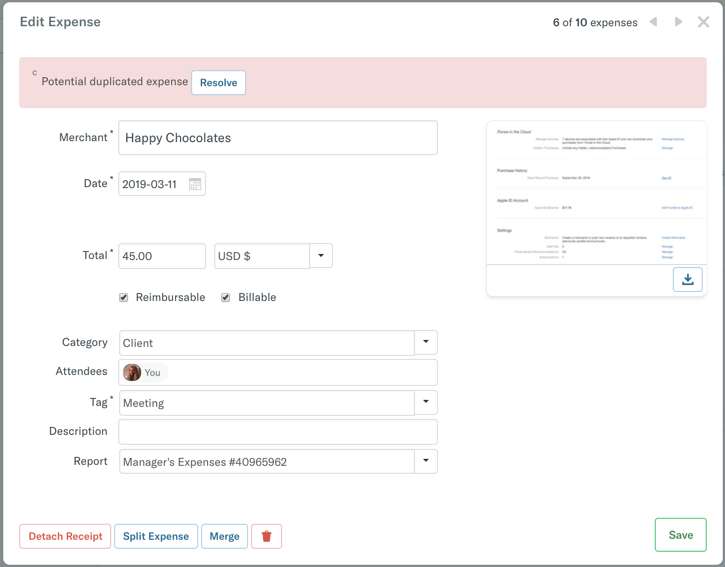 Click into a violating expense to Ignore or Merge Expense on the app. If you'd like to remove the expense from the report instead, tap < Expense and then swipe left to Remove the expense. This will return the expense to the Expenses page, but remove it from the report. Once the approver has resolved all potential duplicates, they can safely Approve, violation free! Why does Concierge keep deleting my receipts? They aren't duplicates! 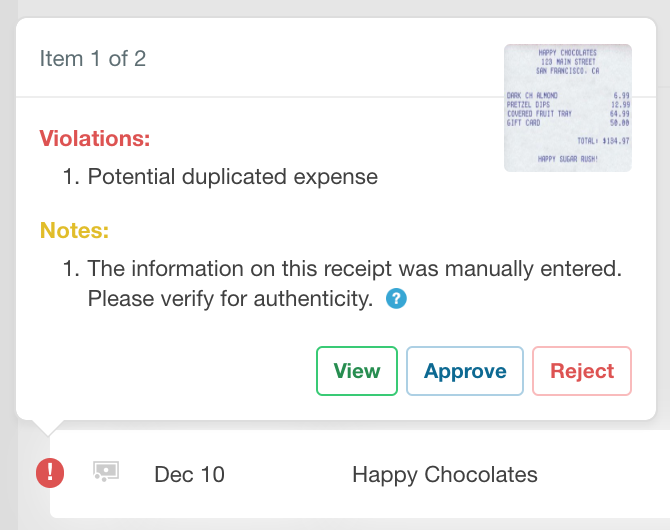 If two expenses are SmartScanned via the app on the same day for the same amount, Concierge will flag a duplicate unless the expenses were split from a single expense, the expenses were imported from a credit card, or matching email receipts sent to receipts@expensify.com were received with different timestamps. Keep in mind that scanning the receipt again will trigger the same duplicate flagging. 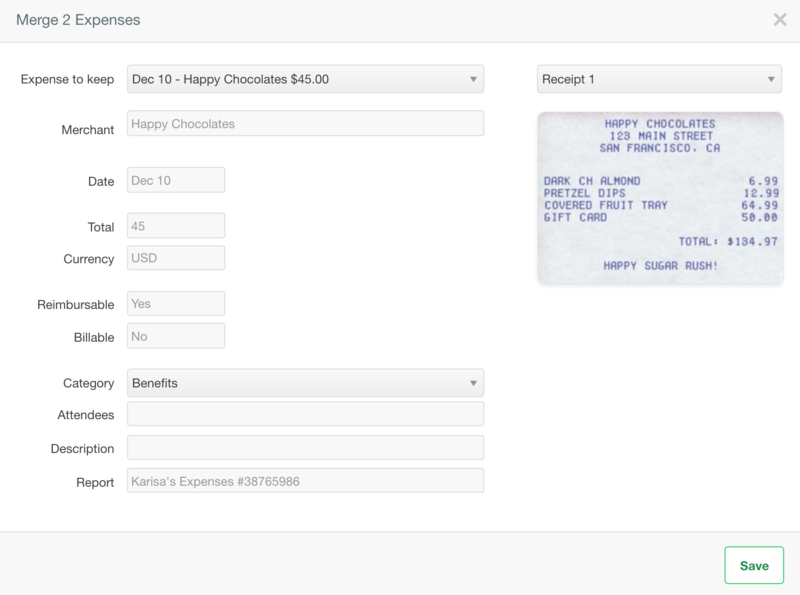 Log into your web account and navigate to the Expenses page. Use the Filters to search for deleted expenses by selecting the Deleted filter. 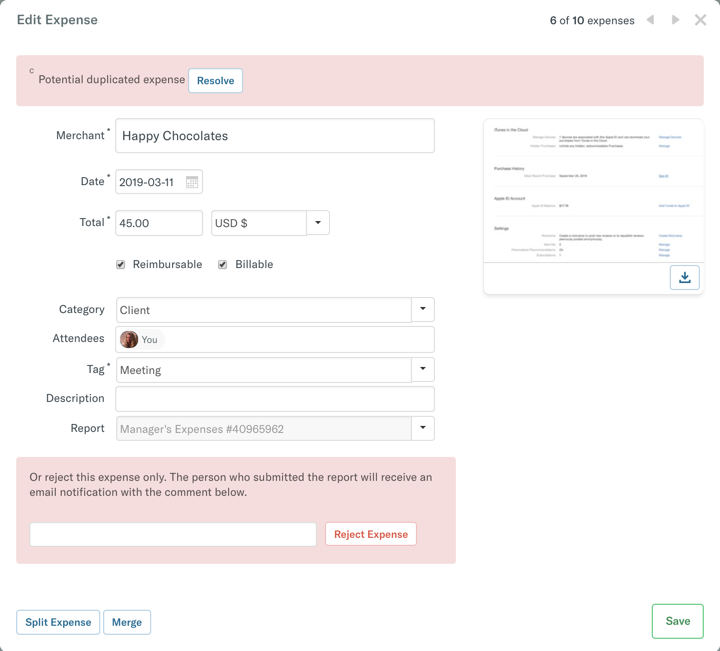 Select the checkbox next to the expenses you want to restore. Click Undelete at the top of the page. Will Duplicate Detection flag the same receipt, even if I accidentally SmartScan it a year later? 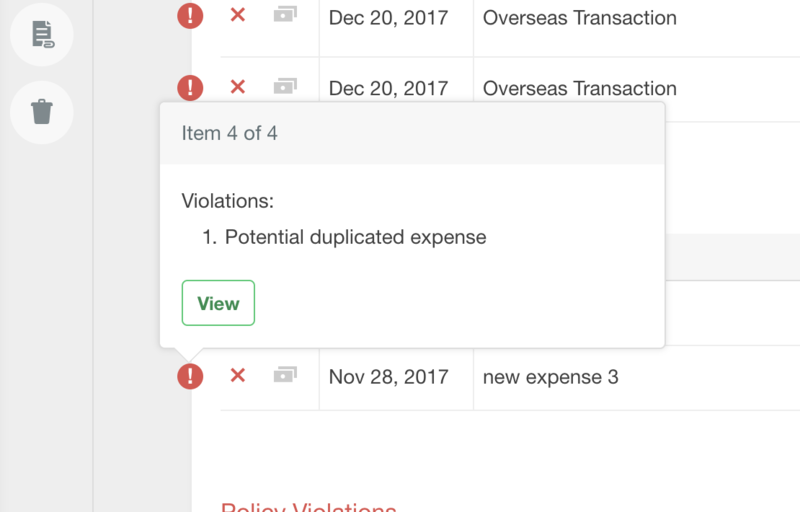 Duplicate Detection will look at all expenses in a single user’s Expensify account regardless of the date it is uploaded. For example, if Jane added a 'Starbucks' receipt last April for $3.50 and it was Approved in May, when Jane accidentally uploads it again in October to a new Open report, it will be flagged as a possible duplicate for both Jane and their approver.